Mark Noble is set to end his career at West Ham after an option was activated to extend his contract until 2021. The Hammers captain, who made his debut for the club in 2004, has extended his deal by a year. 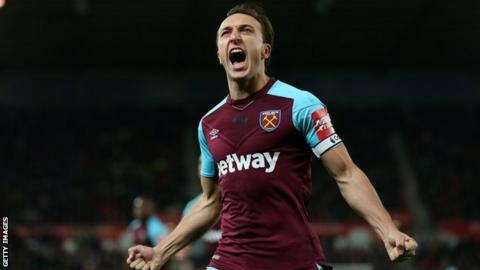 Noble, West Ham’s current longest-serving player, said he would consider staying on as a coach when he retires. “I hope that the club keeps moving in the right way, and hopefully I can be a part of that,” the midfielder, 31, told the club’s website. “To be honest, I haven’t done my coaching badges. Football is so intense now that when it gets to the summer, I like to spend it with my kids and the wife. I’d love to be involved somewhere though.